MGC services a diverse array of customers in the clinical lab and diagnostics industries. We can handle the pickup and transfer of medical/lab supplies and specimens anytime of the day or night and pickup from lockboxes, doctor’s offices, or hospitals. 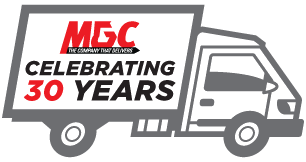 Because MGC drivers are company employees and not independent contractors, we offer a high level of security and customer service to our pickup and deliveries. You and your customers will have a consistent driver familiar with the specific offices and hospitals they deliver to and pickup from. Additionally, our drivers receive detailed training on material handling and regulatory compliancy. These factors add up to the doctors, nurses, technicians, and patients that make up your customer base being serviced daily by a highly skilled professional.